Digital Models Display Tension in grams, lbs. kg, newtons, etc. 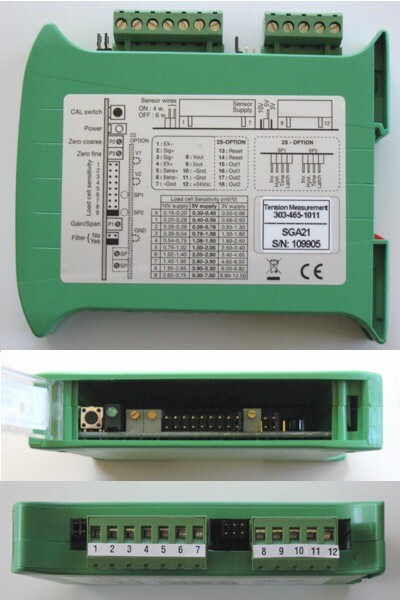 RS232/485 Serial Output of Tension Readings for Data Acquisition, etc. TMI does not use proprietary strain gage elements that require unique electronic signal conditioning units only available from a single source. Our sensors are compatible with strain gage indicators readily available world wide. We offer indicators to meet the needs of a wide range of user applications from display only to tension control outputs with data acquisition communications. The units above will provide excellent resolution and stability for your tension measurement application. 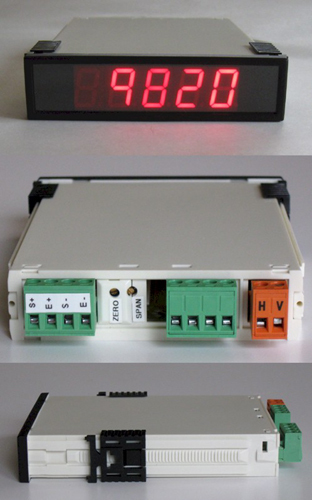 All of the strain gage signal conditioners shown above provide the necessary sensor excitation voltage. The signal from the tension sensor is processed and converted to a digital display of the tension value as well as various options for tension control outputs. The Tension Sensor calibration is accomplished with known loads for accurate dynamic tension data. All Tension Sensor Systems (sensor + indicator) are calibrated and tested in our lab. 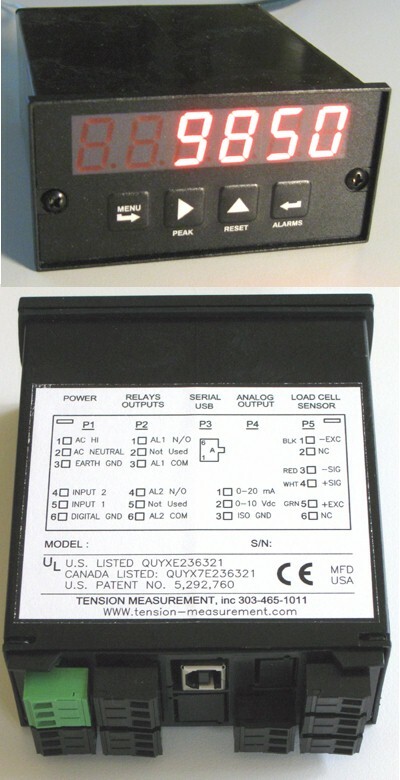 A complete user manual is provided with all necessary drawings and indicator parameter settings. Dimensions: 1/16 DIN, Bezel 3.78" x 0.95", depth 4.83"
Easy calibration with known load allows you to simply turn potentiometers to set the Low and High calibration points. This provides an accurate digital readout of all tension values throughout the entire tension range. 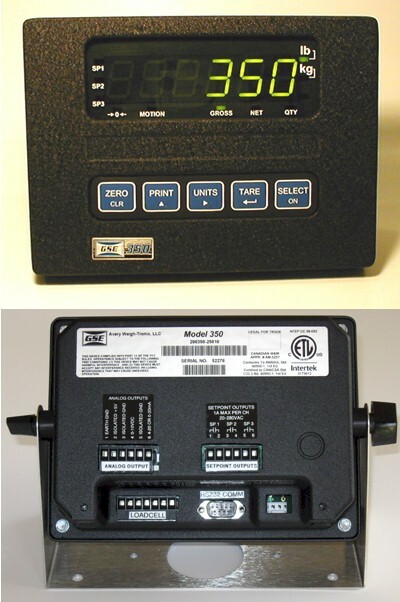 The Model SM9640 panel meter is no longer available. We are recommending as a replacement the SM9850 which has many options available or the SM9820 for applications which require only a tension display.